I'm giving away a copy of The Perfume Collector for the Literary Blog Hop. Go enter! Have a great week ya'll. Go forth and read! Ah! The Worst Hard Time! I've been meaning to read that for some time now. How is it? What made you pick it up? You read so many books last week! 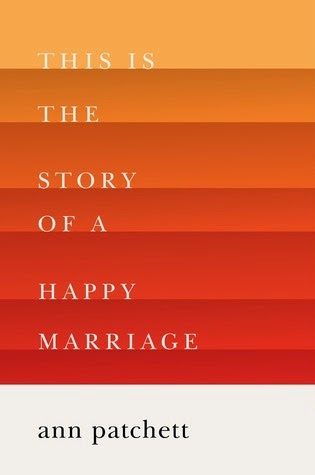 This is the Story of a Happy Marriage is a fantastic book. I hope you enjoy it. 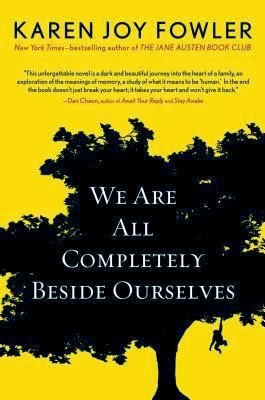 It was on my TO REQUEST list on Goodreads. Since I'm trying to avoid most tours and galleys I've been actually making those request from my library :D It's been grand! It's really a great book. Sad as can be as well. Your 2 upcoming books, both pretty good! Have a wonderful week!!! Thanks, I sure hope they are :) You have a great week too, Tonya. Thanks for visiting! 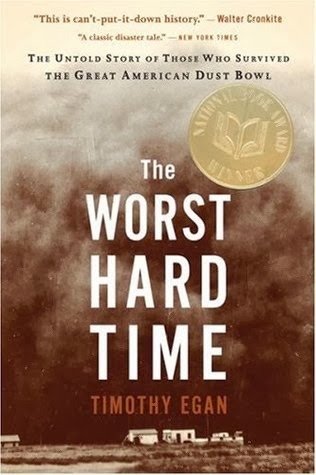 I have a copy of The Worst Hard Time I've been meaning to read for a long time now, too. Hope to hear it's good! I'm really looking forward to hearing what you thought of The Lion Seeker, too! It's good, it's good! You should totally get to it. I know you'd like it. Nonfiction nerds! The Lion Seeker was pretty damned amazing. It took me a minute to get into it but when I did? Wowee! Ahhhh! Your ability to read crazy amounts in one week never ceases to amaze me! LOL ;) Why thank you, Jennine! The Worst Hard Time sounds intense. Can't wait to hear your thoughts on that one! Will you be reviewing Out of the Easy? I loved her other book - it really opened my eyes to things I didn't know, since it was historical fiction. Maybe? I checked it out from the library so maybe I'll do some quick thoughts on my recent library books. I can tell you right now that I didn't like it :( Such a bummer because her first book was amazing! I've heard only good things about This is the Story of a Happy Marriage. Look forward to hearing what you think of it. Ha! That is one crazy town name ;) I hope it's a good book! Have a good week! I love that you read so many books and many I've never heard of. Happy Reading! Thank you, thank you! I try to shake it up around here ;) Happy reading to you as well! I can't believe how many books you read this week! I think it took me a week just to read The Lion Seeker! How was The Last Enchantments? It sounded wonderful. I've read both of your upcoming books. Happy Marriage is really great - you'll enjoy that one! You have been doing some reading, girl! And some good books too, some of which I still have in my TBR pile. The two upcoming books are by two of my favorite authors. I'll look forward to what you say about those. I'm having the best luck lately. I should really knock on wood because I just know I'm due for a clunker soon, lol. I have The Worst Hard Time on my Kindle, it's just a hard book to pick up and read. Look forward to your review! I'm immersed in The Goldfinch right now, loving it.